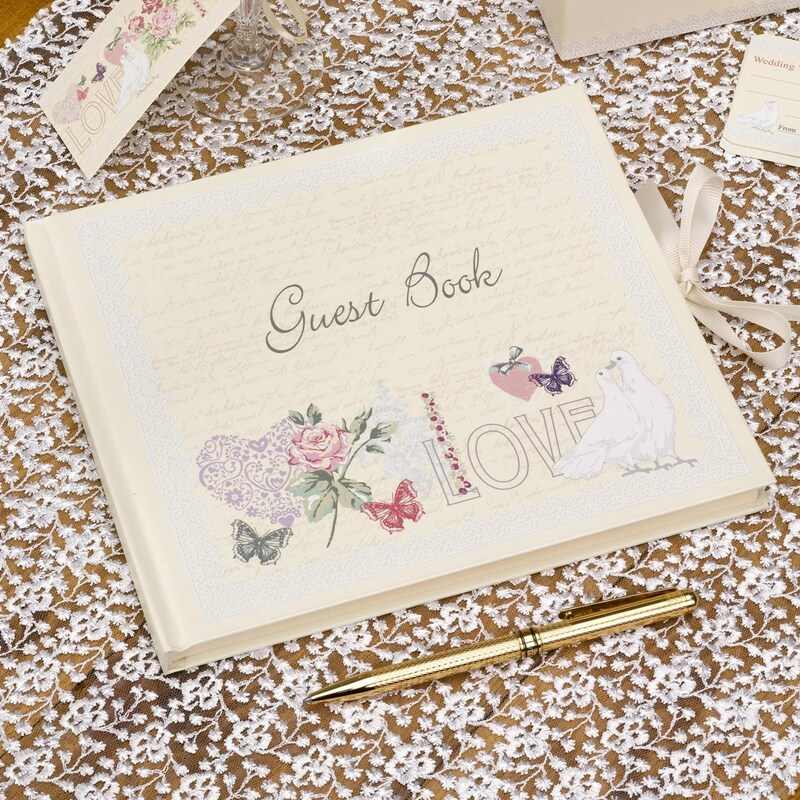 A beautiful boxed guest book from the "With Love" range of wedding accessories and tableware. With a timeless design that draws its inspiration from the love letters of the past, this range is perfect for infusing every aspect of your day with old-school romance. This guest book features a beautiful design and delicate colour palette, and when filled with messages from your guests it makes a wonderful memento to treasure forever. Open the book to reveal crisp ivory pages ready for your guests inscriptions a lovely way to create a lasting keepsake of your special day. Supplied in a protective box to keep your book pristine for years to come.